In February we were contacted by a member of the public who’d recently enjoyed a trip to the Caribbean. 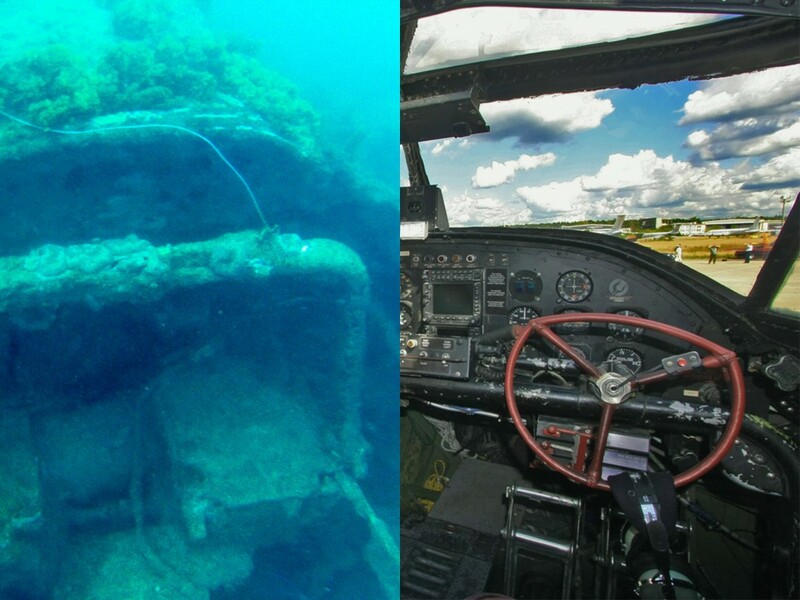 Whilst there, he’d been diving off the island of St Lucia and visited the wreck of an aircraft. It was, he said, just inside a reef in shallow water but difficult to access as the waves break over the reef in windy weather. He only had the one opportunity to visit and even then, could not explore the whole aircraft. With no information available from the team who guided him to the wreck, he was curious as to what it may be and, on his return to England, contacted us to see if we’d be able to help. 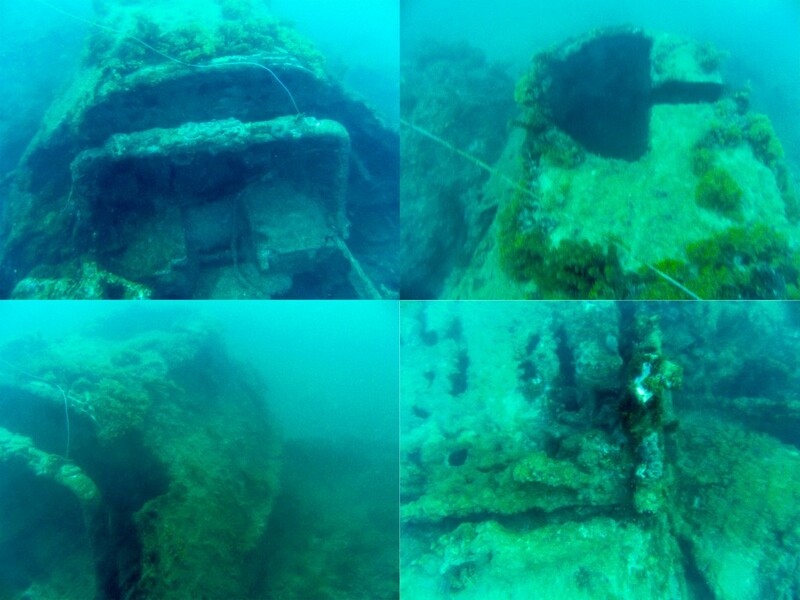 His photos illustrate some of the difficulties in maritime archaeology – namely visibility and recording. Not only had the diver been unable to reach the rear of the aircraft, but they hadn’t even been able to see it. Additionally, it is very difficult for someone viewing the photographs later to gauge the scale of the wreck – which is exactly why scale rulers are so important in archaeological recording (not that we would expect a diver on a pleasure dive to take scales with them purely for our benefit!). The query was sent through to the Trust’s military history expert, Stephen Fisher. At first it looked like a hopeless task as it was barely possible to work out what any part of the front of the aircraft the photographs were looking at, but Stephen was struck by a solitary feature, visible in the bottom left photograph. 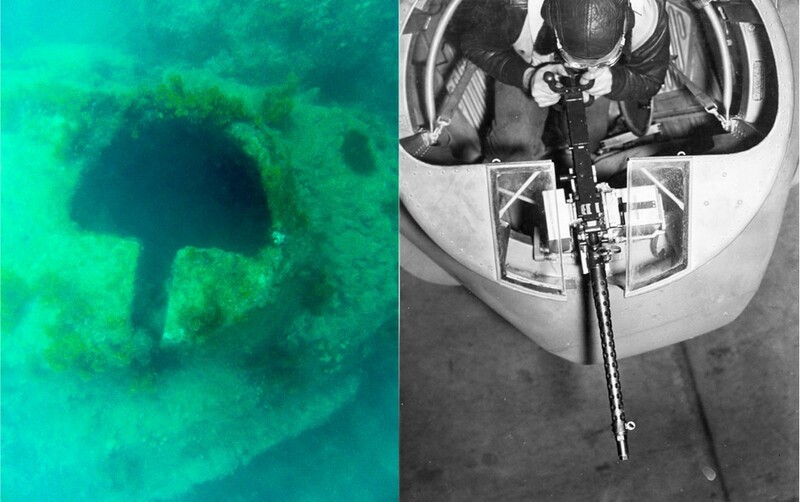 This strake reminded Stephen of a similar feature he had seen on the nose of the Consolidated PBY Catalina flying boat, a famous aircraft from the period of the Second World War. 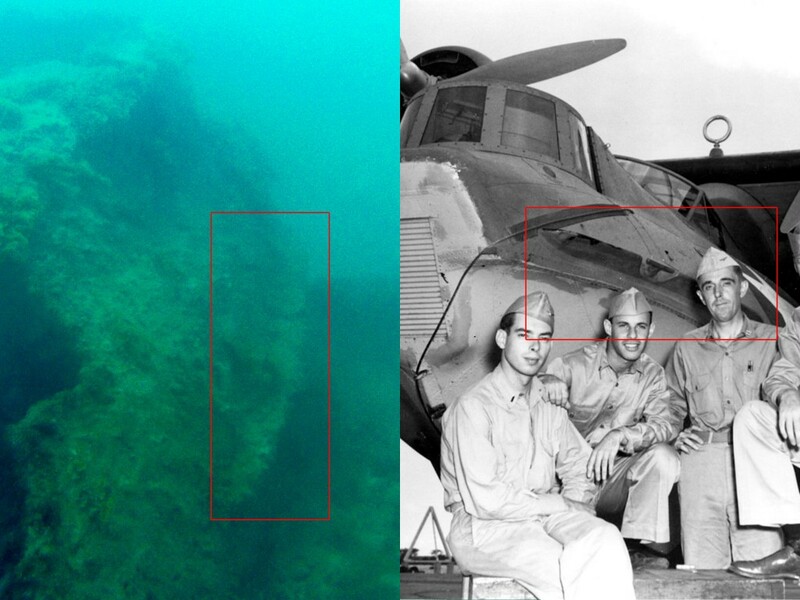 Working on this hypothesis, it didn’t take long to match up the other seemingly random features with the Catalina. Right hand photo by Aleksandr Markin [CC BY-SA 2.0], via Wikimedia Commons. 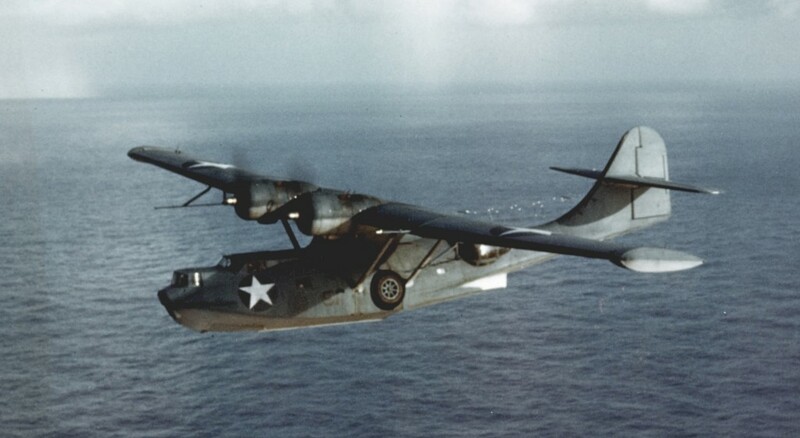 Aircraft 2400 Consolidated PBY-5 Catalina (Naval Patrol Squadron 31) based at San Juan, Puerto Rico, reported as having ‘water looped during landing and sank 30-Apr-42 at St Lucia’. There were only minor differences between the 5 and 5A and because of the sheer number of individual variations, even between planes of the same model (such as the forward gun position), it wouldn’t be easy to tell one from the other based on the images. The description of Aircraft 7249 sinking on a reef obviously suggests it may be that one. The diver has passed all of this information to his contacts in St Lucia. Further research and dives to identify this aircraft can now at least focus on two specific aircraft and look for clues as to which it may be. With thanks to Alan Foster.